The AASB has confirmed a major change to AASB 1058 and AASB 16 for below market leases from 1 January 2019. AASB 16 required that where the lessee is a not-for-profit entity and the lease has significantly below-market terms and conditions principally to enable the entity to further its objectives, the right-of-use (ROU) asset shall initially be measured at fair value in accordance with AASB 13 Fair Value Measurement. 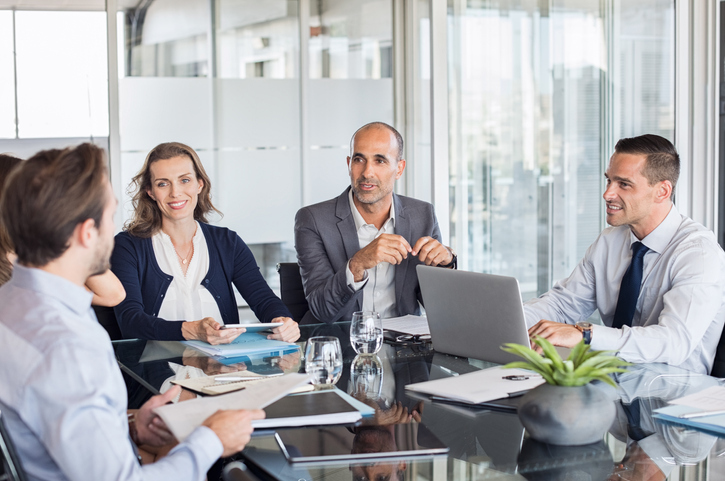 The AASB has now proposed relief for NFP lessees from fair valuing ROU lease assets in below-market lease arrangements under AASB 16 and AASB 1058 upon the adoption of those Standards on 1 January 2019. The changes relieves all NFP entities from initially measuring ROU assets arising from all (existing and new) below-market leases at fair value. The change comes as the AASB acknowledges that NFP entities are having difficulty determining the fair value of the ROU assets arising from these leases. However, this relief is likely to be only temporary until such time as the AASB provides further guidance on applying fair value to such arrangements, and until the any potential changes to the reporting thresholds for NFP entities arising from the ACNC Legislative Review recommendations are known. But for now, these changes are good news and mean that NFPs will not have to determine fair value of the ROU asset or obtain valuations for those below-market leases at 1 January 2019. On 1 October 2018, the Australian Government released the Treasury Laws Amendment (Registries Modernisation and Other Measures) Bill 2018 for public consultation. This Bill proposes a new regime featuring a Director Identification Number (DIN) which will be assigned to each director, with the aim of better tracking directors and tackling the practice of illegal phoenixing. Phoenix activities involve registering a new company to continue the business of a failed or insolvent business. The Government’s Taskforce estimated that the cost of phoenixinig activity costs the Australian economy between $2.9 billion and $5.1 billion annually. To help combat this issue, the Commonwealth is proposing the introduction of a Director Identification Number (DIN). The DIN would operate similar to a ACN or ABN, but for directors and will be unique to each person. A director will quote their personal DIN on each and every appointment. The DIN will operate across Government agencies and databases, allowing regulators to better map the relationships between individuals and entities, track directors associated with failed companies and flag higher-risk individuals and entities. The DIN will apply to an eligible officer of a registered body. An “eligible officer” includes appointed directors and acting alternate directors. A “registered body” includes a company registered under the Corporations Act 2001 or Corporations (Aboriginal and Torres Strait Islander) Act 2006(CATSI Act). At this time, it does not appear that the proposal will apply to bodies registered under the Australian Charities and Not-for-Profit Commission Act 2012, unless they are also registered under the Corporations Act. To obtain a unique DIN, directors will be required to confirm their identity prior to obtaining their DIN, which is held by the director even if their directorship with a specific entity ceases. New directors will be required to obtain a DIN within 28 days of appointment and existing directors will have 15 months to apply for a DIN from the date the new laws apply. The process for confirming identity in order to apply for a DIN has not yet been confirmed but is likely to be similar to the ‘100 points’ identification system, akin to opening a bank account. If such a process is adopted, this will require some planning by directors ahead of obtaining their unique DIN, particularly those directors who reside abroad. There will be significant civil and criminal penalties for directors that fail to apply for a DIN within the applicable timeframe. The proposed maximum civil penalty for failing to apply for a DIN within 28 days of appointment is A$200,000 for an individual or A$1,000,000 for a body corporate. Other offences which would attract these penalties include failing to apply for a DIN if directed by the Registrar, applying for more than one DIN, misrepresenting a DIN and accessorial liability for being involved in any of the above. Although the final legislation may change subject to comments received as part of the consultation period, the push for increased rigor in corporate governance will be a key focus point going forward, not only through reducing fraudulent activity, but through the improvement and relevancy of information available to government agencies. At this point, the timing for the final legislation is unclear. Nevertheless, we recommend liaising with your company secretary ahead of any legislation change to ensure that appropriate arrangements can be put in place. This will be of particular importance to those directors who reside abroad. The material contained in this publication is for general information purposes only and does not constitute professional advice or recommendation from Nexia Edwards Marshall. Regarding any situation or circumstance, specific professional advice should be sought on any particular matter by contacting your Nexia Edwards Marshall Advisor.